SVCC presents, Diversity Speaker, Nicole Kelly. Born without her left forearm, Nicole’s mission is to empower people of all ages who feel different to achieve their goals and exceed limitations. 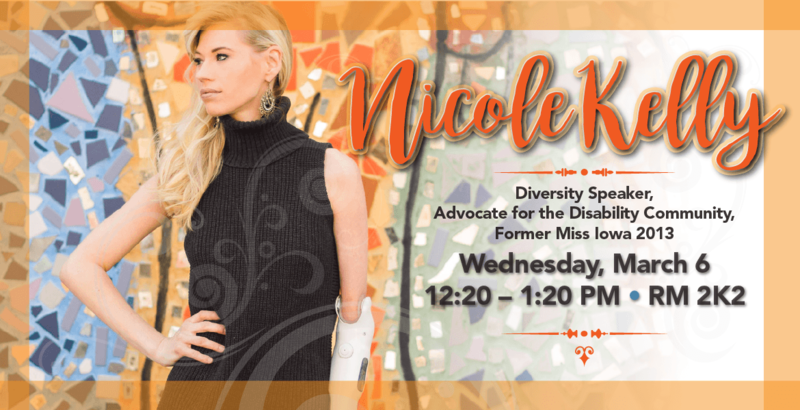 She is an advocate for the Disability Community and Former Miss Iowa 2013. Co-sponsored by TRIO, Student Activities, and SGA. For more information email ana.s.salgado@svcc.edu.